1. 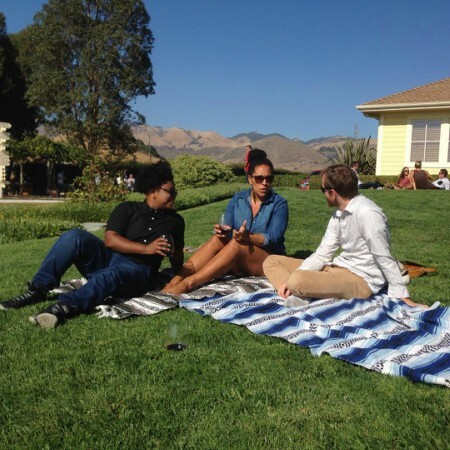 Get your vacation started with an afternoon wine tasting crawl in Paso Robles. Boutique tasting rooms are all around the downtown area, conveniently located close to your hotel, the Paso Robles Inn. We recommend Bodegas Paso Robles, LXV Wine, and Clayhouse. 2. Follow the tasting up with a round of cocktails at Berry Hill Bistro, or relax on their outdoor patio with a glass of wine. 3. For dinner, Paso Robles has a number of rustic and gourmet options in the downtown area. 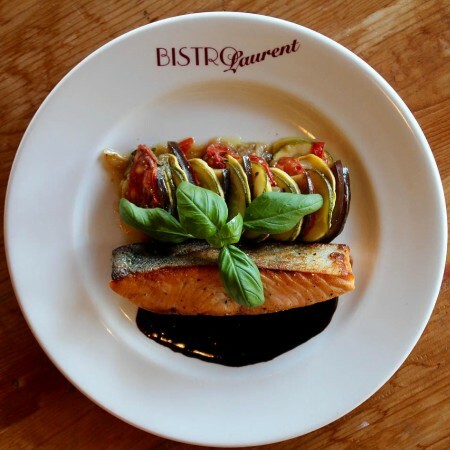 Try Bistro Laurent for an authentic french dining experience paired with imported and local wines. Villa Creek is your best bet for local, organic fare with an eccentric and innovative flair. Their summer menu includes seared scallops and maple leaf duck breast, and their cheese plate pairs beautifully with the locally offered wines. 4. Return to your lodgings at the Paso Robles Inn, making use of the in-room hot springs baths that are available in select rooms. Contact the hotel for information on booking your own room with a hot springs bath, great for both relaxation but also the health benefits of mineral spring water. 1. For your second day on the Central Coast, expand your horizons beyond downtown Paso Robles and head toward the sweeping vineyards that populate our hills. But before that adventure, you’ll need a great breakfast. 2. Stay at your hotel to have breakfast or brunch at the Paso Robles Inn Steakhouse. In a nod to the region’s frontier beginnings, try country favorites like the Jesse James Sandwich or a California Omelet. 3. Gear up for the wine tasting ahead by picking up provisions at Di Raimondo’s Cheese Market. Good wine is great, but it’s even better when it’s paired with snacks that bring out its flavor. 4. 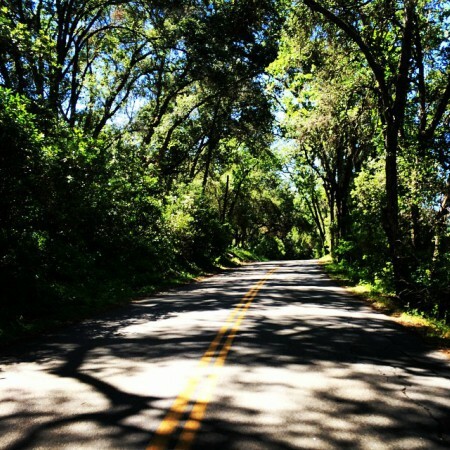 Explore the wineries on the picturesque, oak-line Adelaida Road, which is just 15 minutes away from Paso Robles’ downtown. Your first stop will be Daou or Adelaida. Daou, with family style hospitality in a tasting room that is often described as Napa-esque, offers brilliant wines that truly show the terroir of their landscape. Spend some time at Adeilada winery sampling their best and enjoying your picnic in a welcoming environment. 5. Head down the way to Halter Ranch. Their rustic, yet modern, ranch-style tasting room is beautiful, and stands out strikingly among the vineyards. Try some of their award-winning wines, and maybe enjoy one of their cave or winery tours. 6. Next on the agenda is Tablas Creek, which produces estate-grown Rhone-style blends and varietals. Finish your wine tasting off at this fantastic winery and head back to downtown Paso Robles for dinner at Il Cortile, a well-reviewed fine dining restaurant. 1. Wine in San Luis Obispo county expands past the Paso Robles region towards the coast and closer to the ocean breeze. Edna Valley, just south of San Luis Obispo, is your next wine destination to explore. 2. Grab a quick breakfast at the Paso Robles Inn coffee shop, and head toward San Luis Obispo. 3. The rolling hills of Edna Valley are more restrained and smaller than Paso Robles, but equally beautiful and even more private. Try established Edna Valley Vineyards first, where you can sample wines with an amazing view of the Seven Sisters mountain range. 4. Next, try Sextant Winery, a winery with old-fashioned charm that specializes in Chardonnay, Zinfandel, and Cabernet Sauvignon. They also have a great deli, so you can fuel up with a picnic lunch and maybe a cheese platter. 5. Talley and Baileyana are also favorites in the Edna Valley region. At Talley, sample their Bishop’s Peak line of wines, made to highlight and exemplify the flavors in the Central Coast region. Baileyana also offers some delicious wines at their tasting room in the historic Independence schoolhouse, built in 1909. Visiting Baileyana involves tasting from the the four other wineries that are part of the Niven Family Estate. So, you definitely won’t have a shortage of wine as you relax on their balcony and look out on the vineyards.